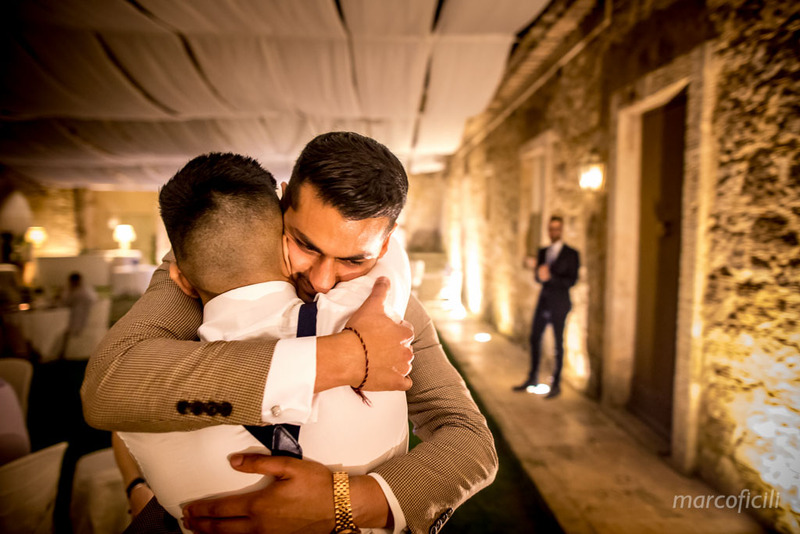 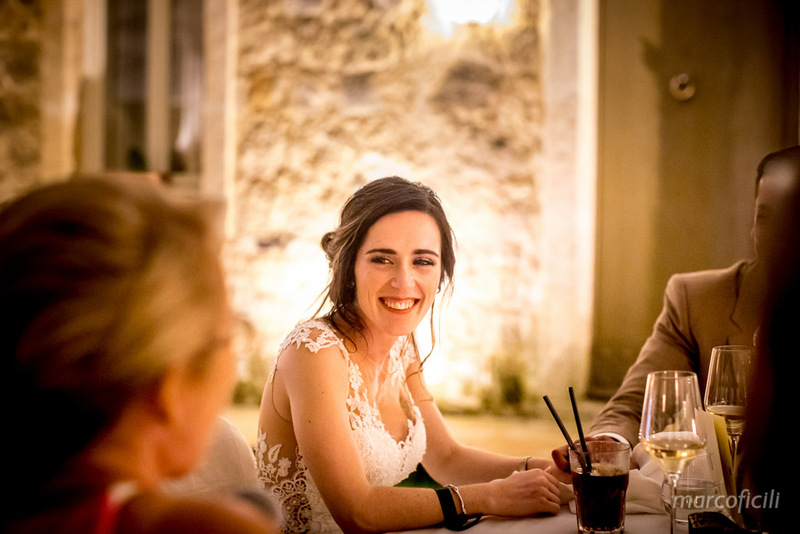 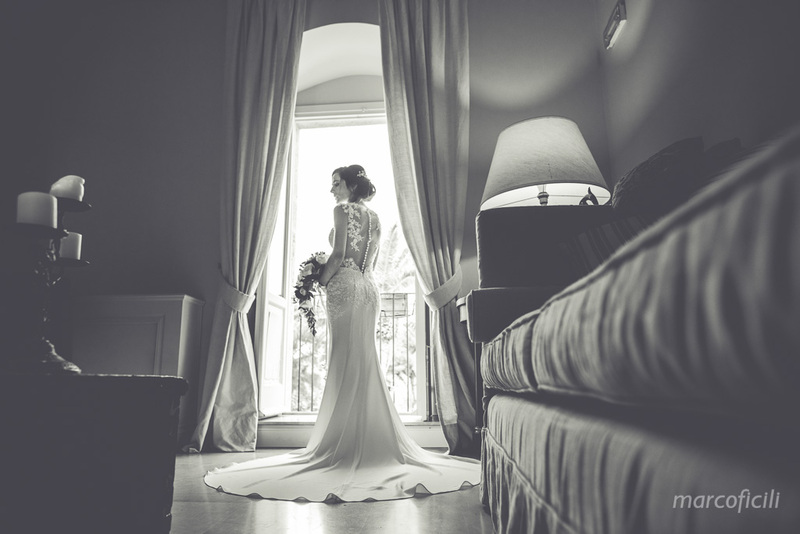 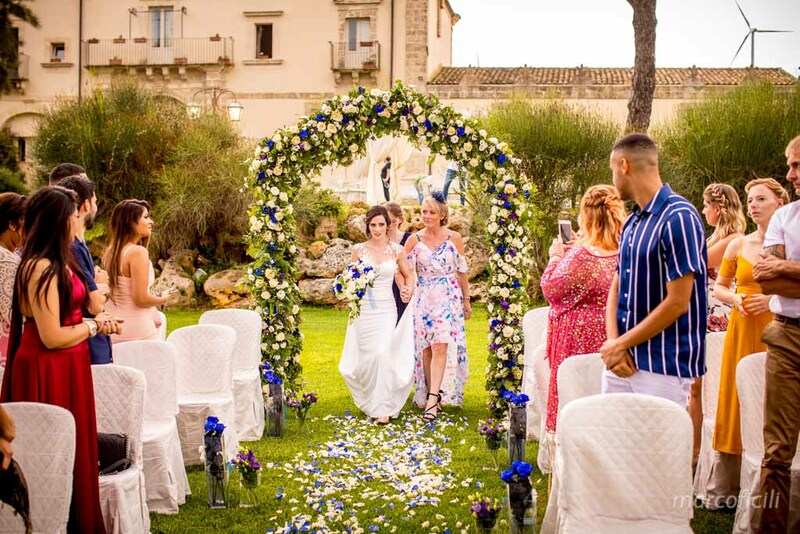 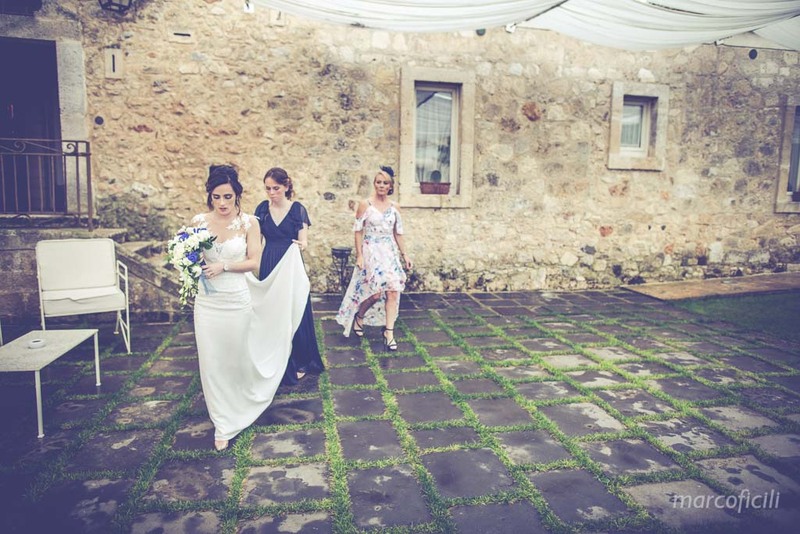 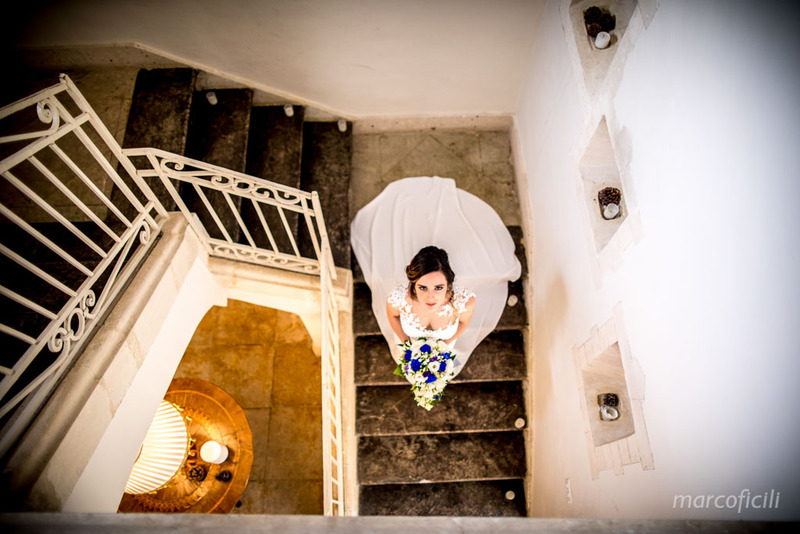 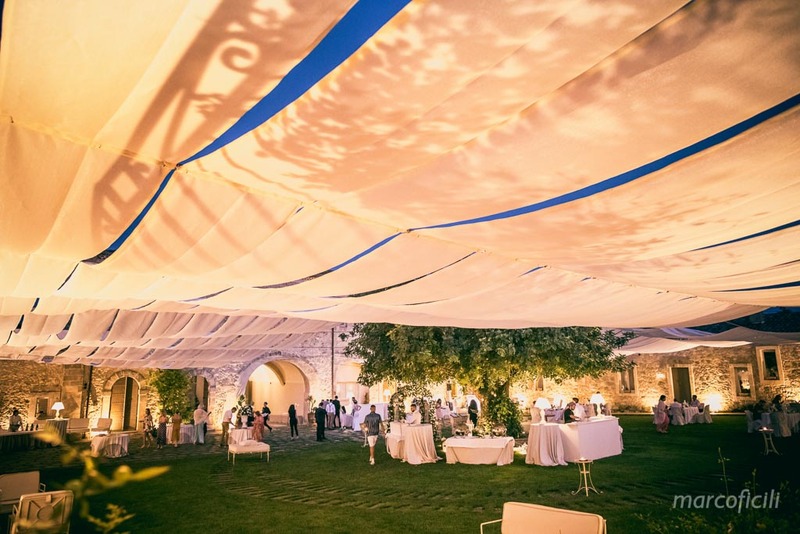 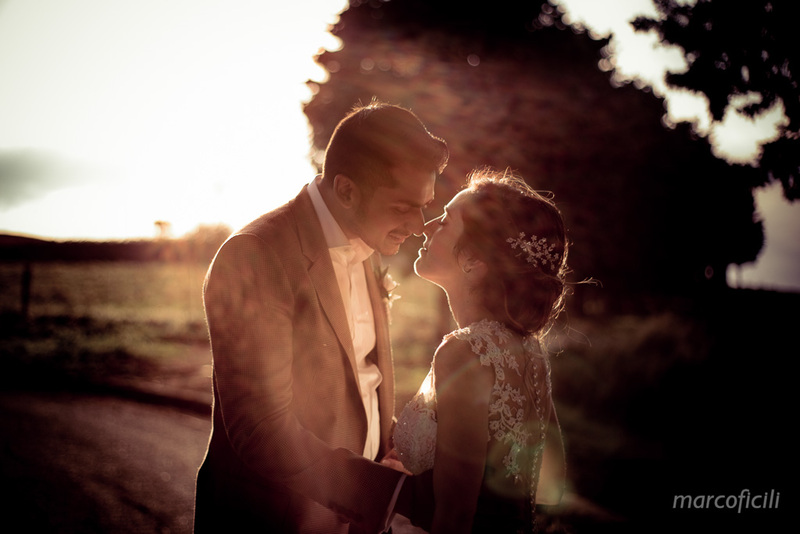 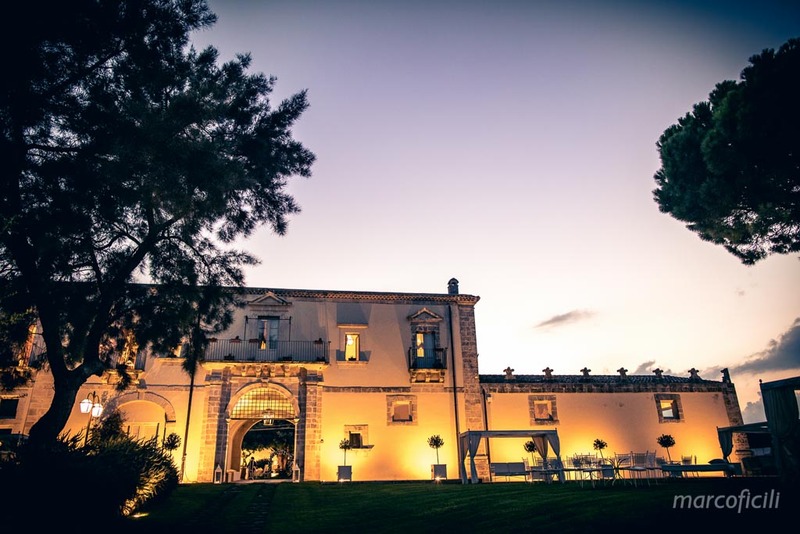 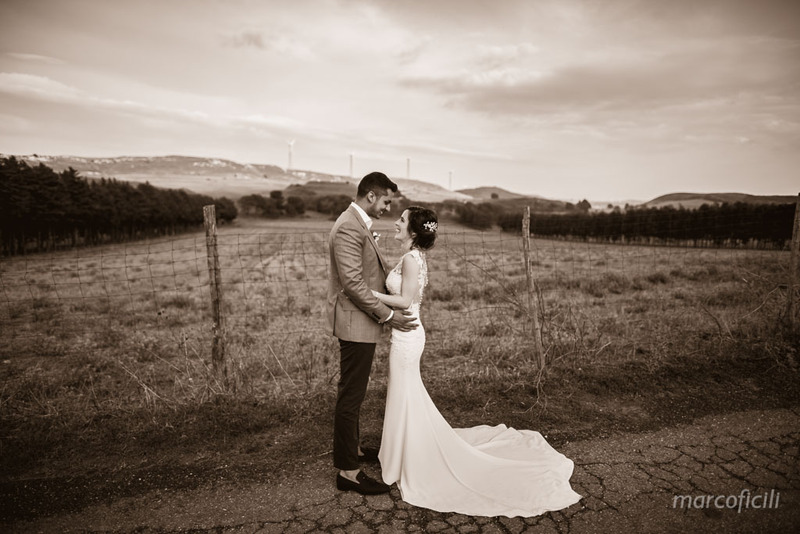 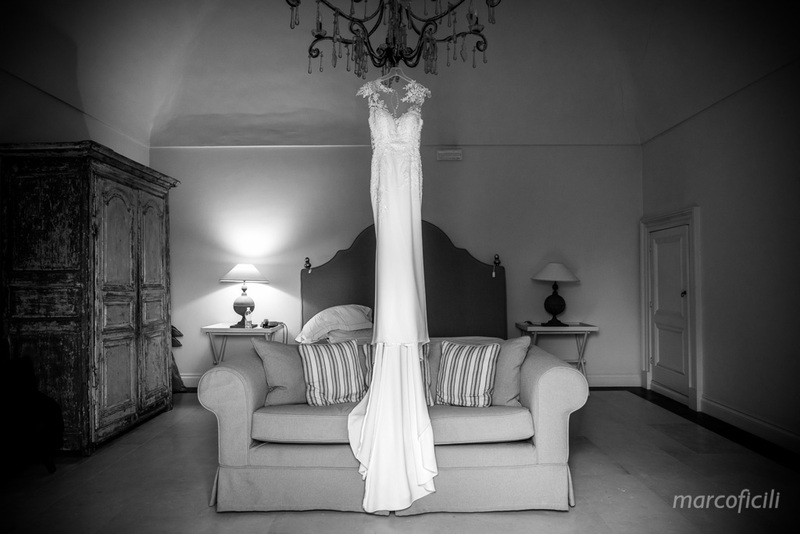 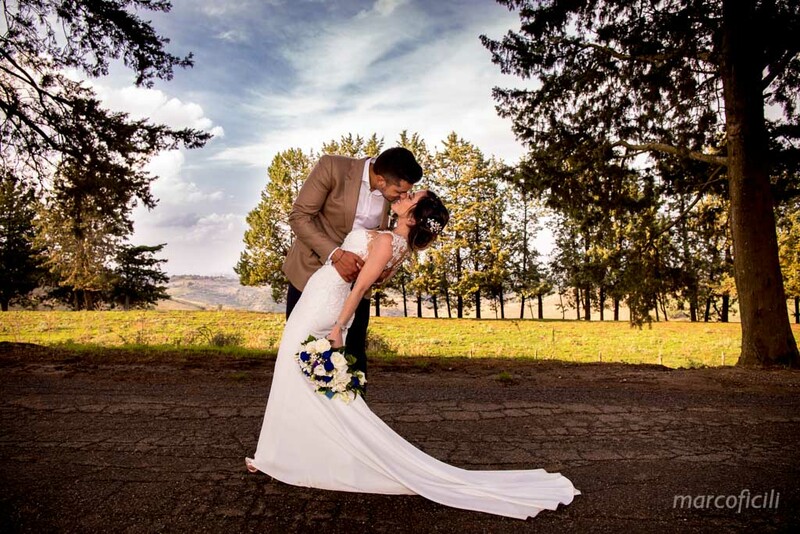 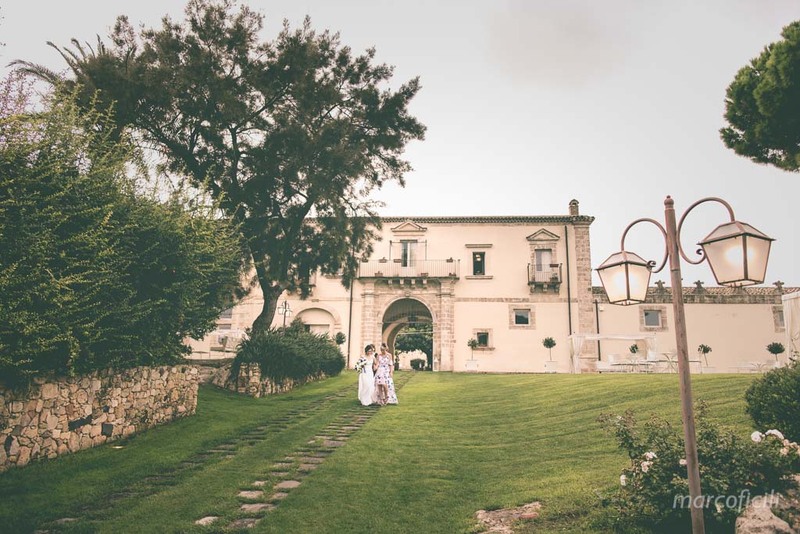 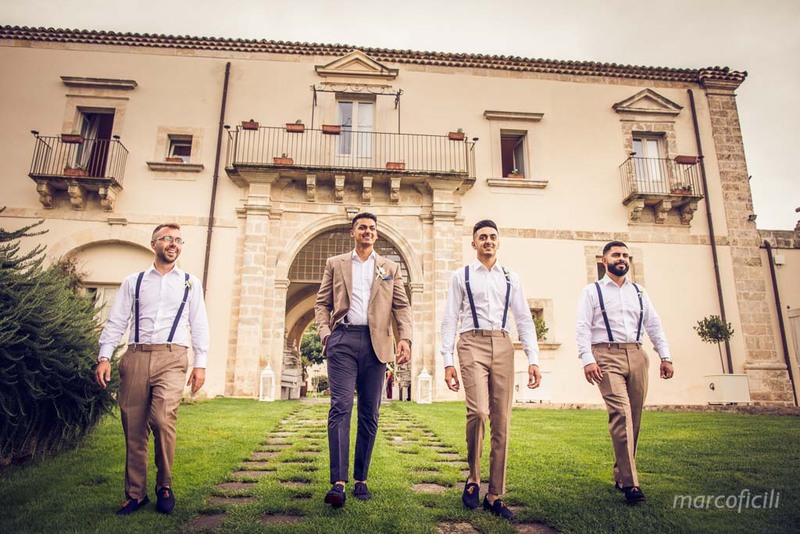 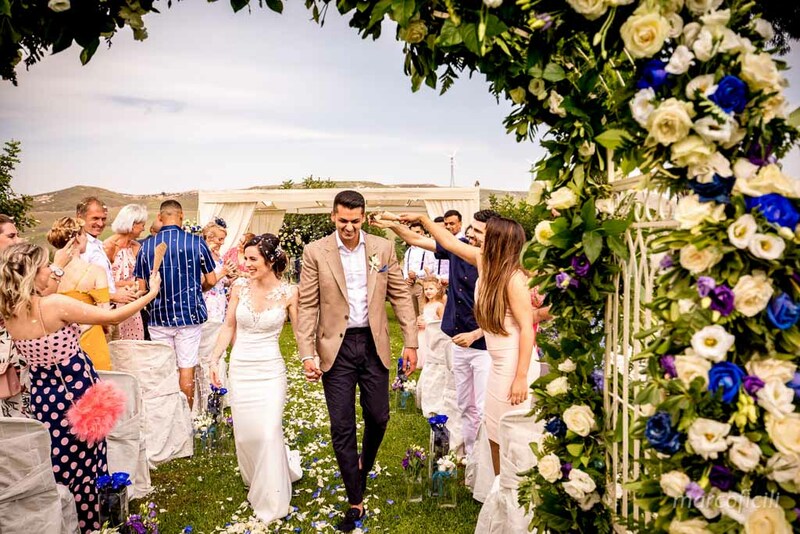 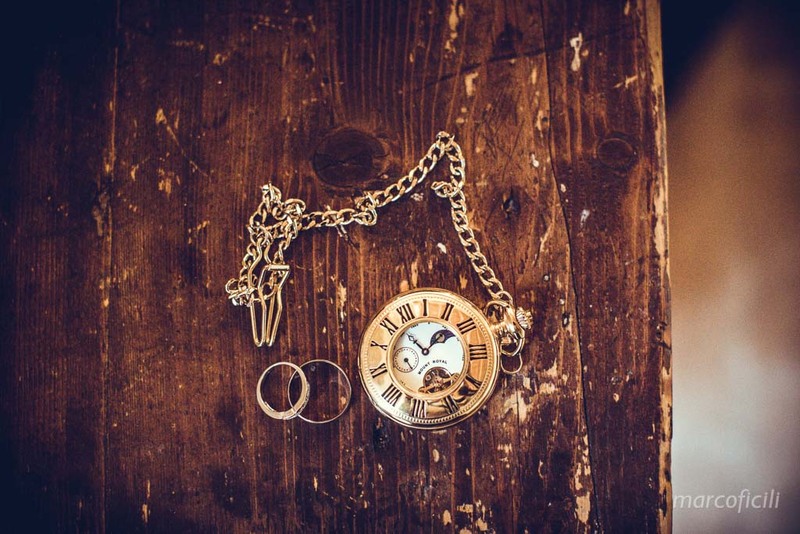 Camemi Castle Wedding– This wedding day was perfection. 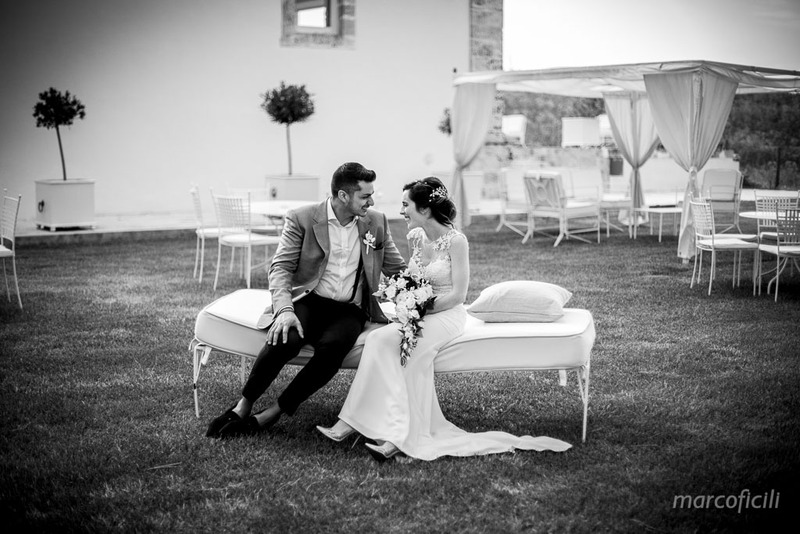 A beautiful venue, an outdoor ceremony and a gorgeous lovely couple. 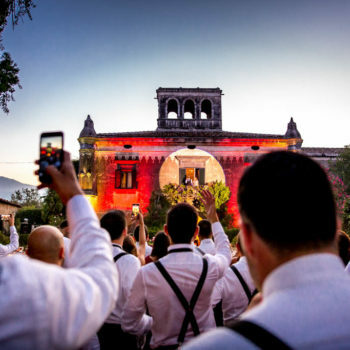 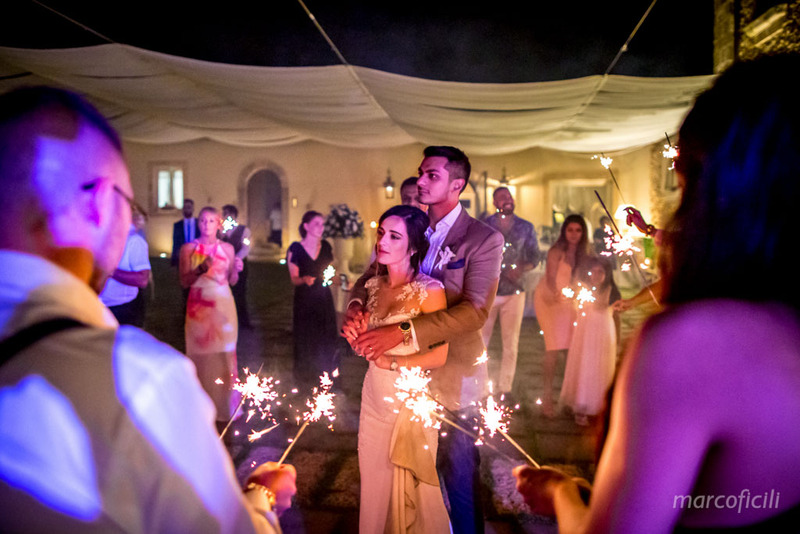 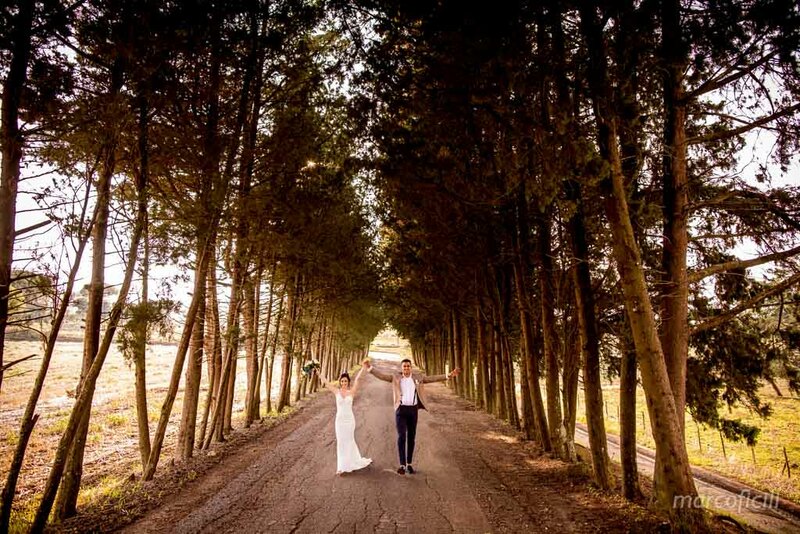 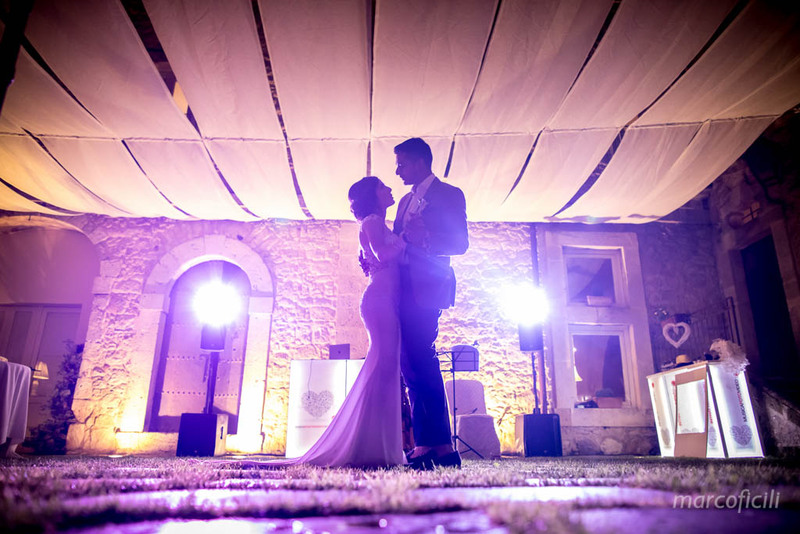 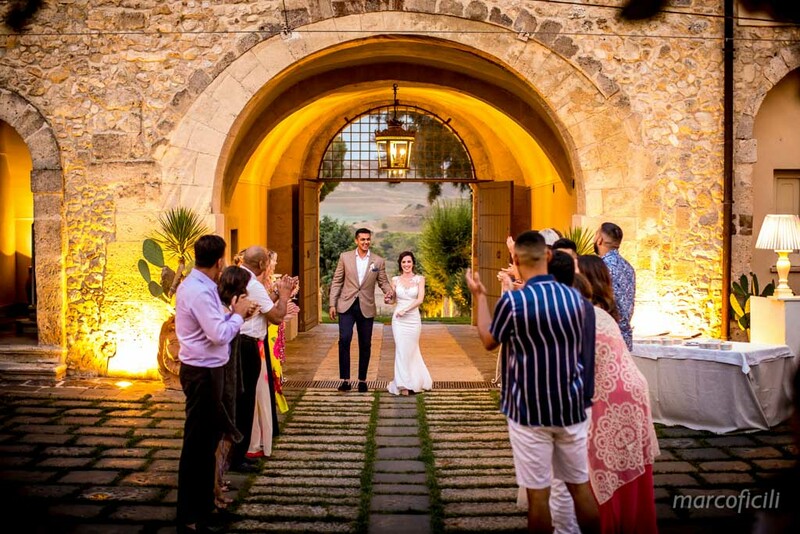 This Wedding at the Camemi Castle was a dream come true for Ryan and Charlotte! 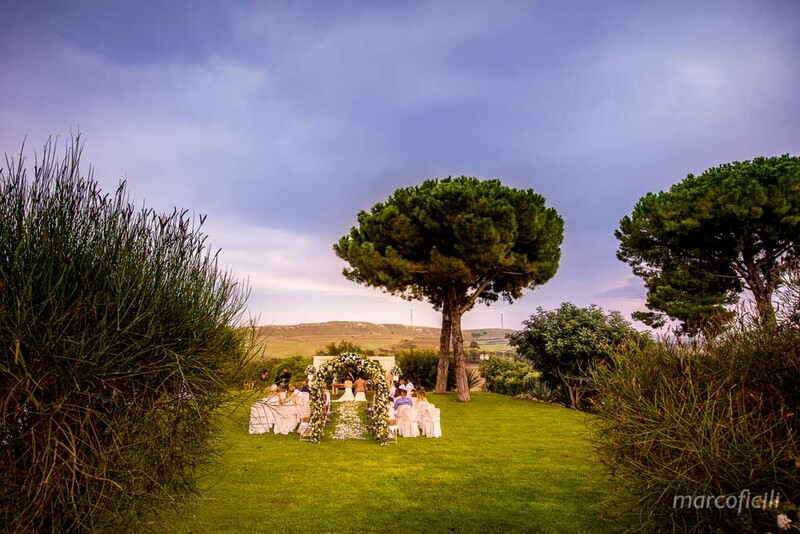 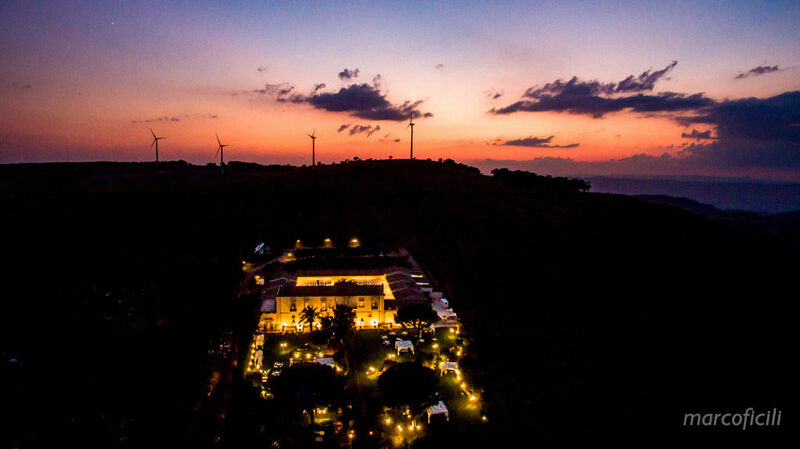 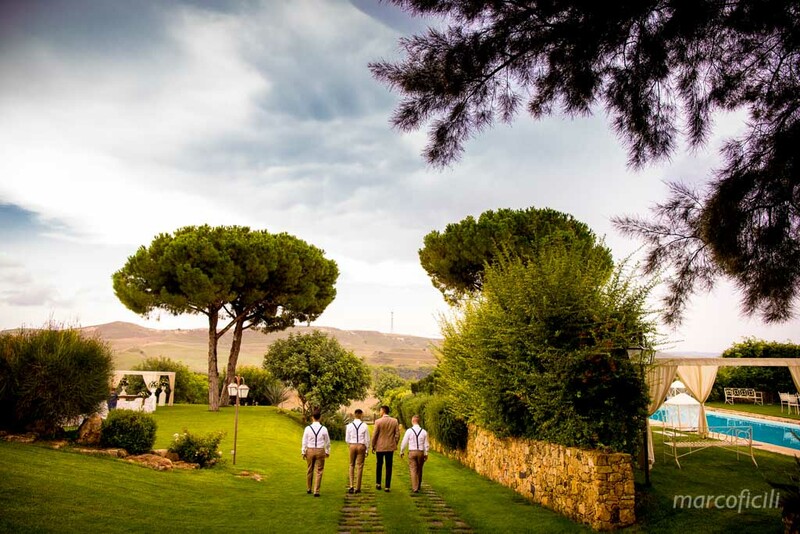 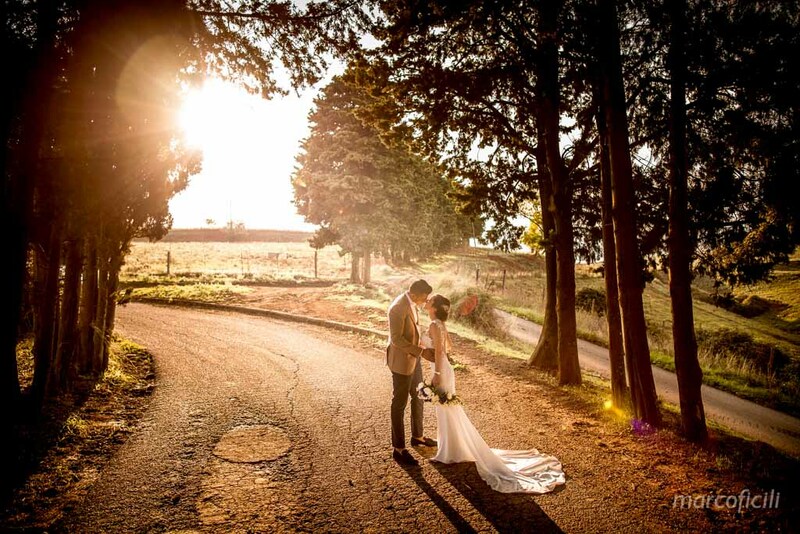 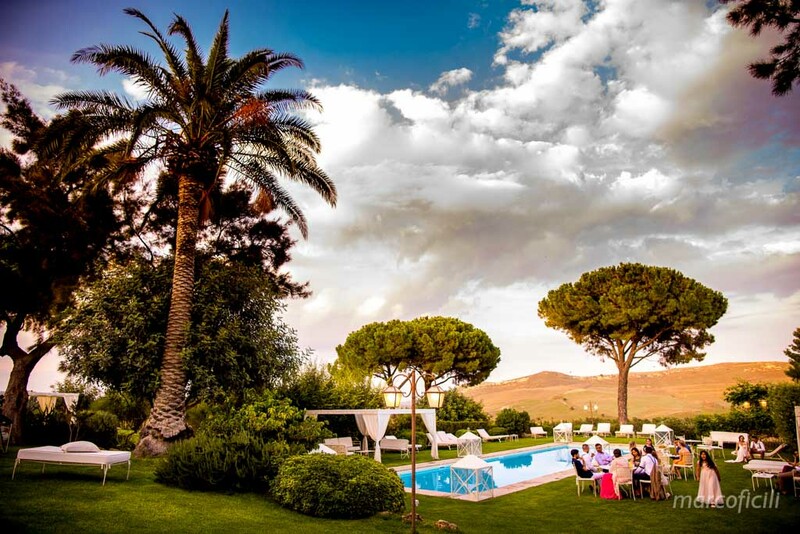 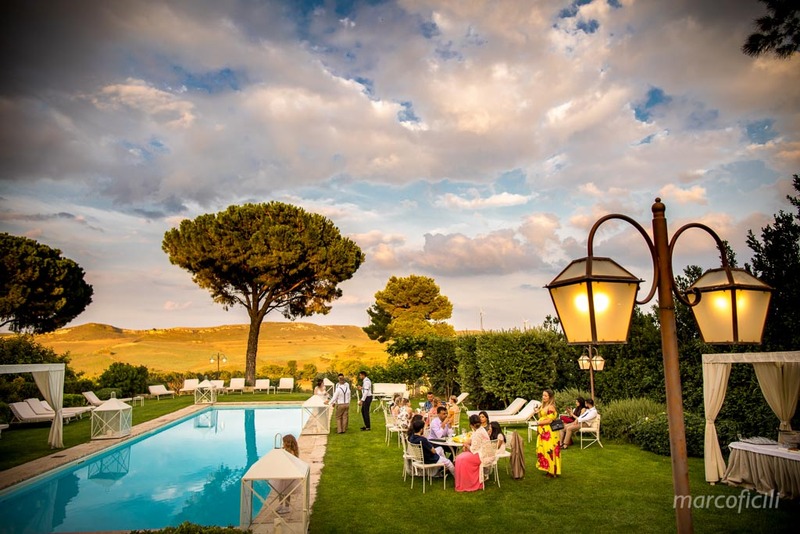 It was a corner of true paradise: a hill overlooking the amazing Sicilian countryside. 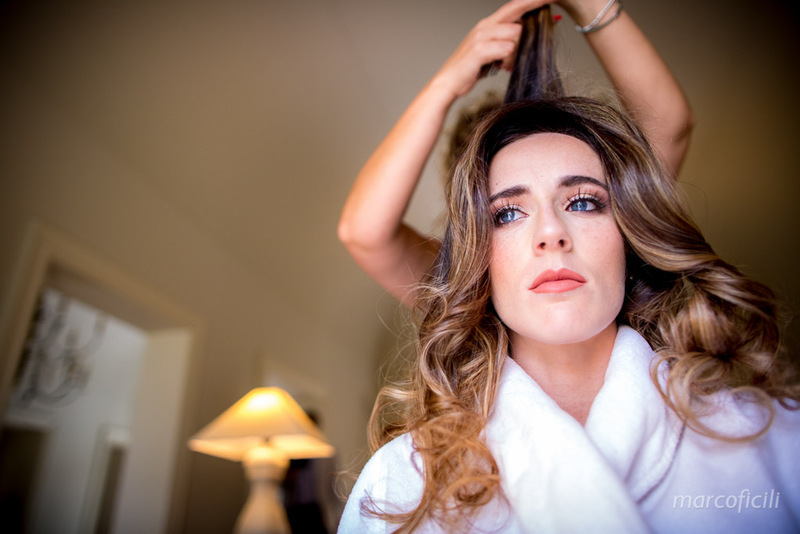 Charlotte got ready in a total relaxing atmosphere with her beautiful bridesmaids and family. 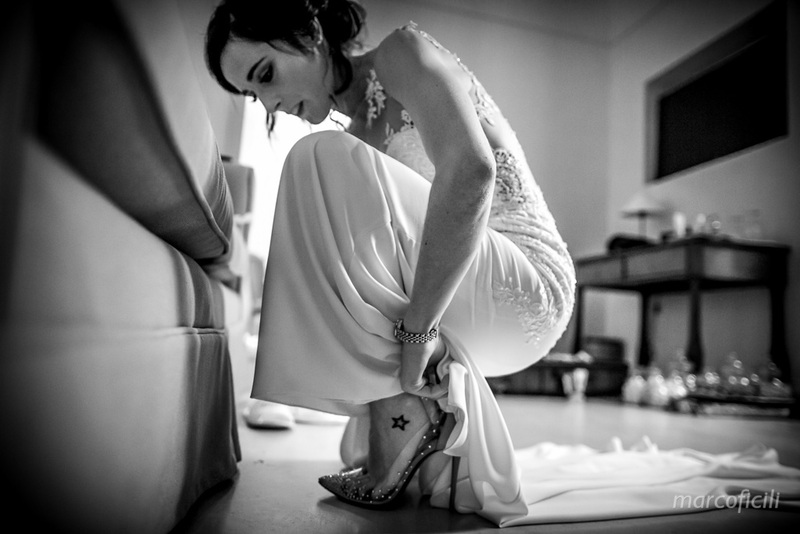 While Ryan got dressed together with his brothers and groomsmen. 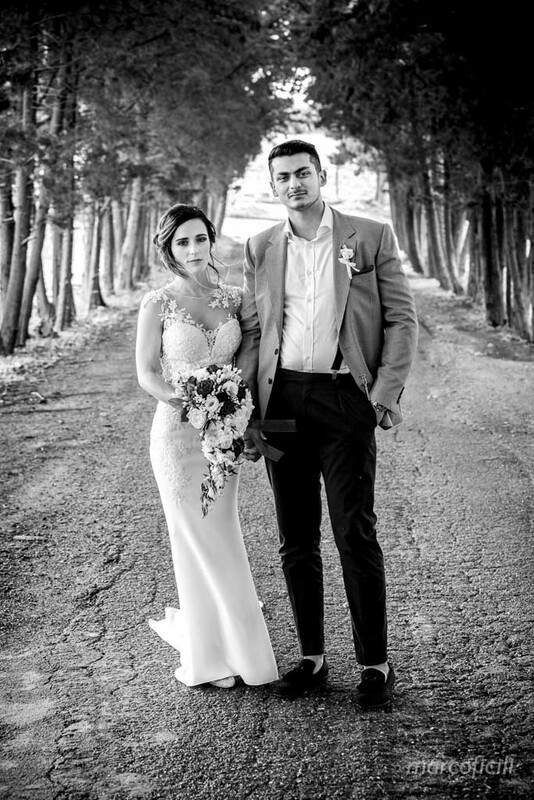 Everyone looked absolutely stunning! 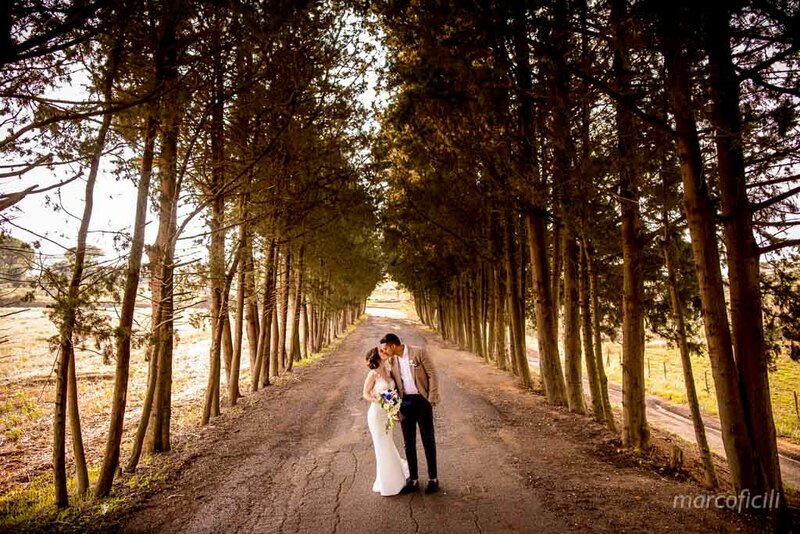 Ryan and Charlotte celebrated their wedding ceremony under the shadow of a beautiful tree. 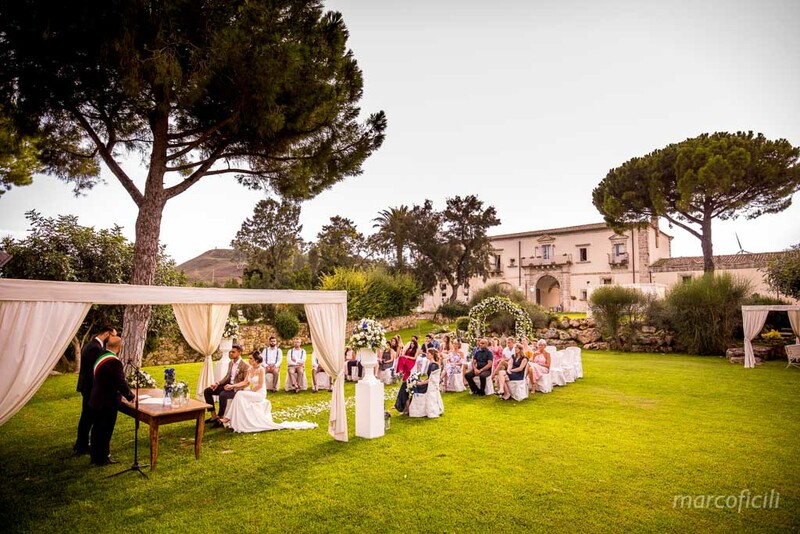 We really love an outdoor ceremony. 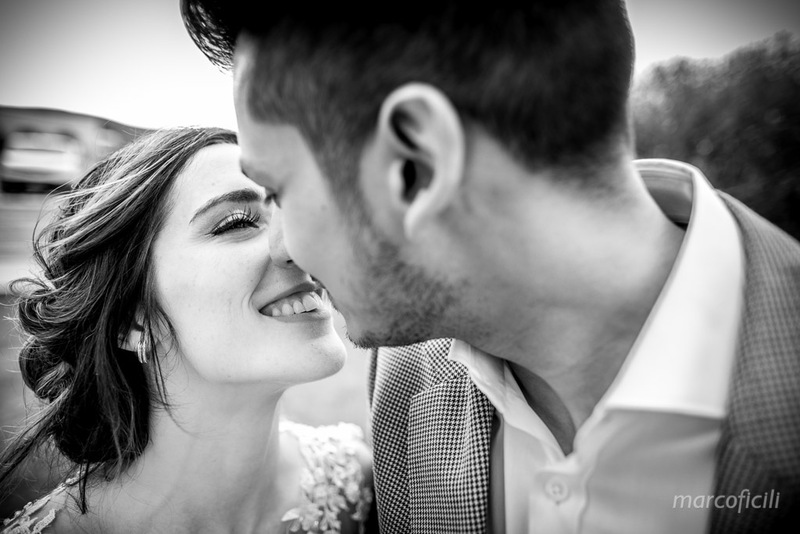 It’s so romantic! 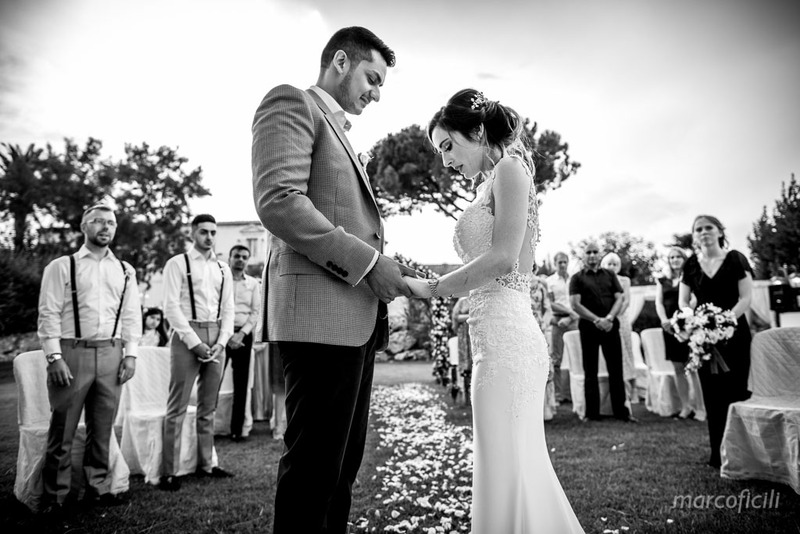 It was one of the most romantic ceremonies we’ve ever seen. 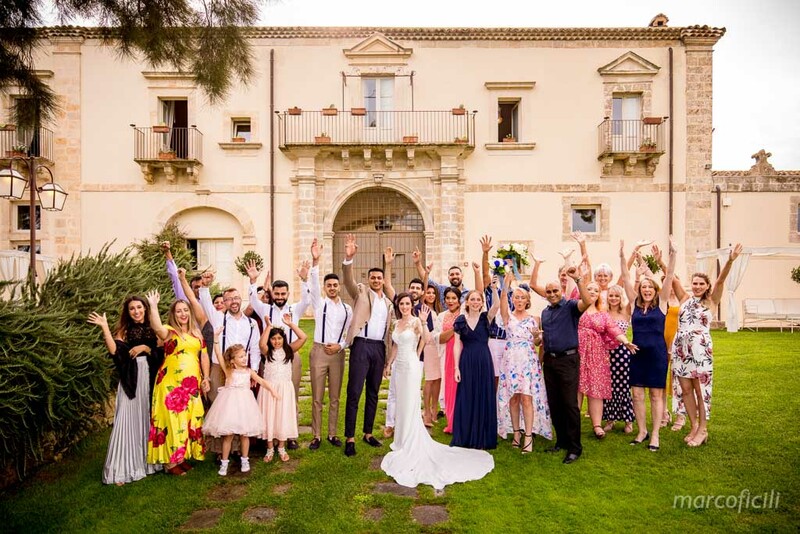 At the end of ceremony, we moved through the group shots quickly and then went down to the gardens around the castle with Ryan and Charlotte, for a quick photo session. 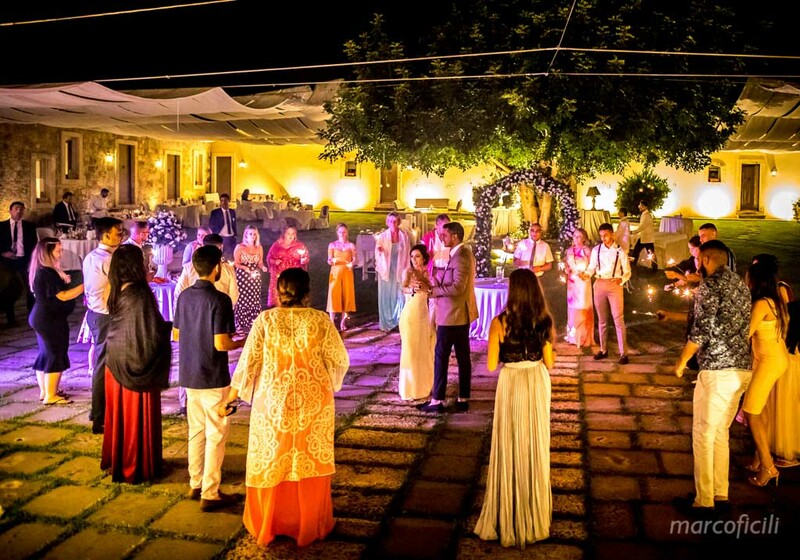 So that allowed them loads of time to mingle with their guests. 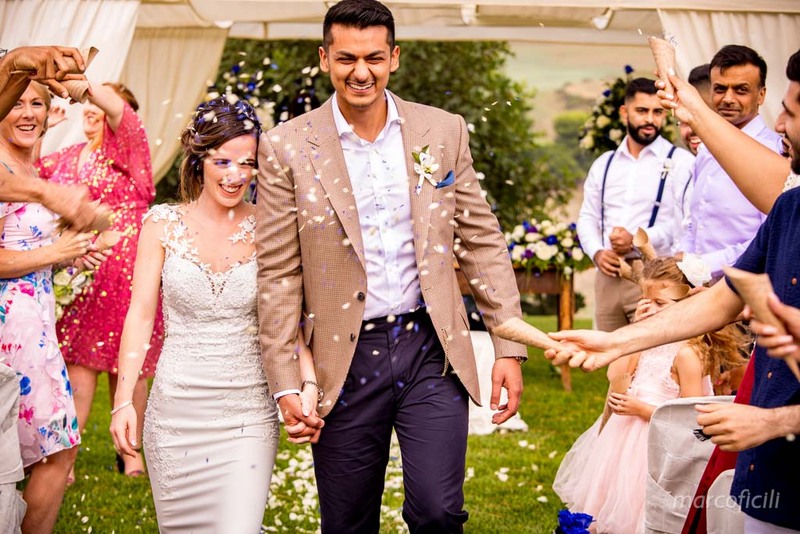 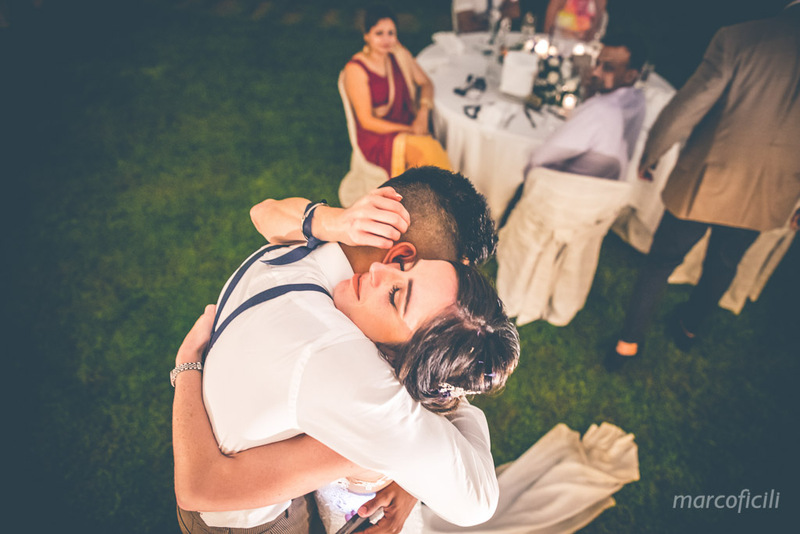 We really think that’s the way a wedding should be – the photos are important, but so is actually spending time with your guests and it allows us to get lots of candids which are the ones we all love. 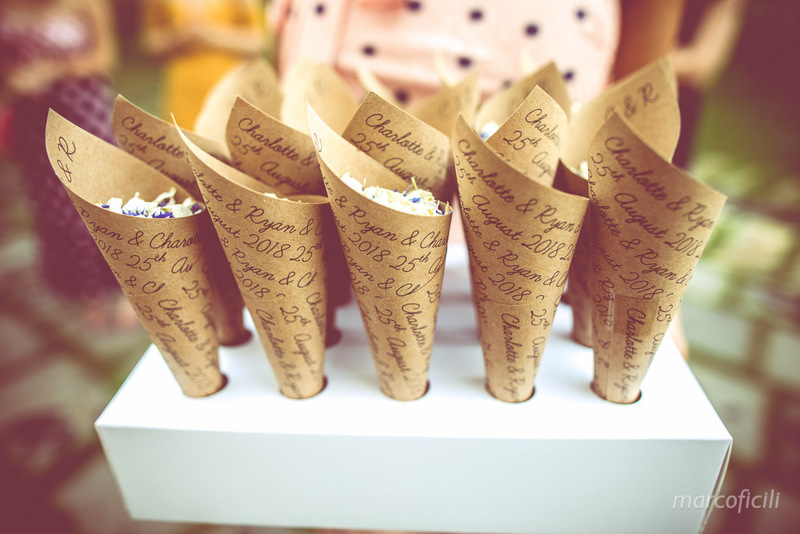 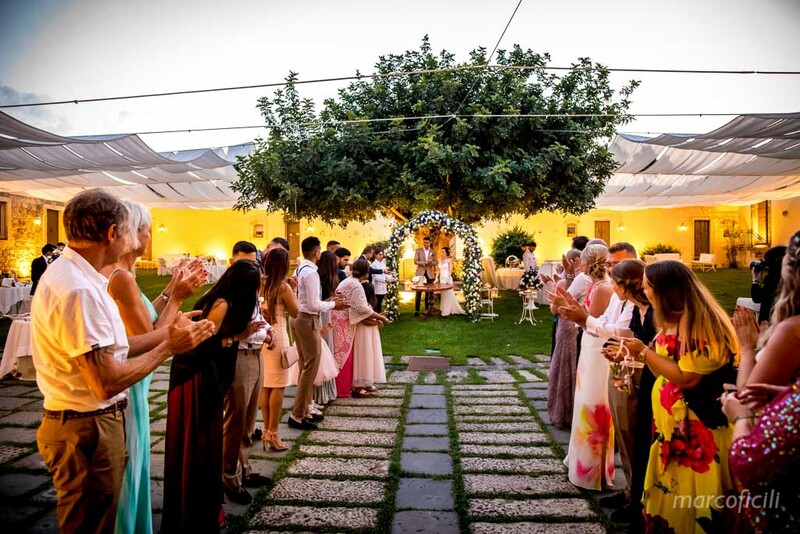 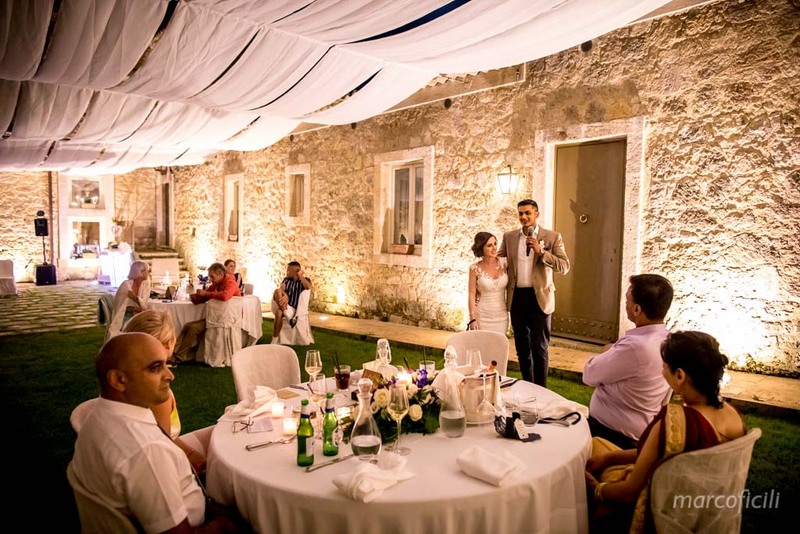 They had a marvellous Italian style wedding dinner! 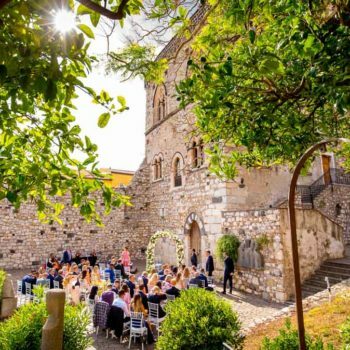 They all enjoyed the truly amazing atmosphere of the old Sicilian castle. 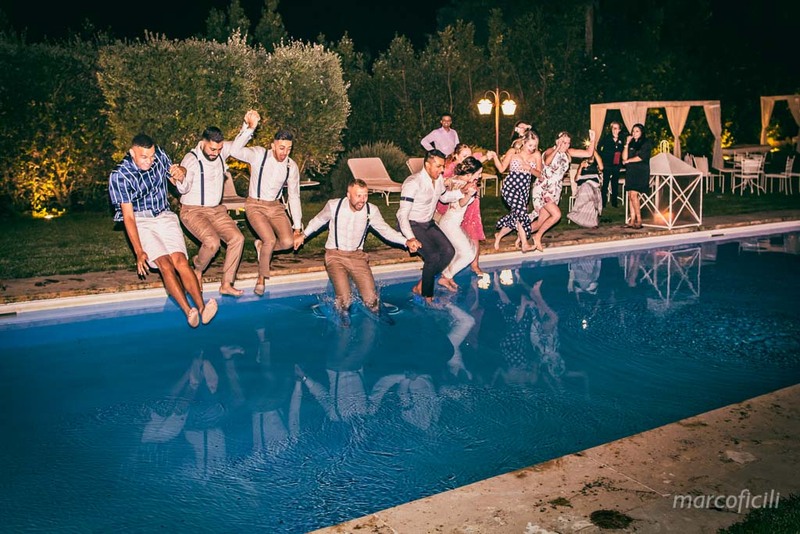 Just before the wedding cake cutting, the party started and everyone had fun dancing, singing and diving into the pool! 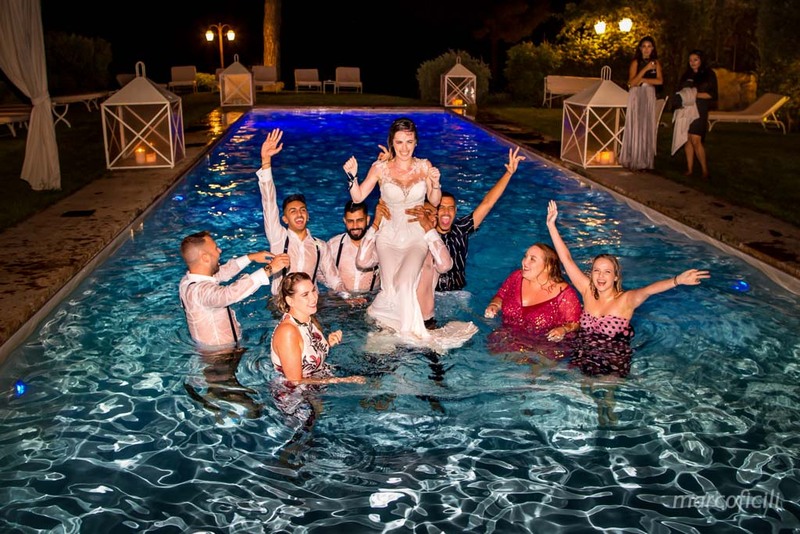 It’s been a truly wonderful and unique wedding party!